Archive for category: B.O.S.S. and needs for the Product. You are here: Home / Blog / B.O.S.S. and needs for the Product. B.O.S.S. ™ Is the first and only odorless, non-toxic, non-flammable and biodegradable spray that permanently removes stains and odors. Simply apply B.O.S.S.™ directly to odor or stain source. Leave 5 to 10 minutes. Clean with a damp cloth and repeat as necessary. 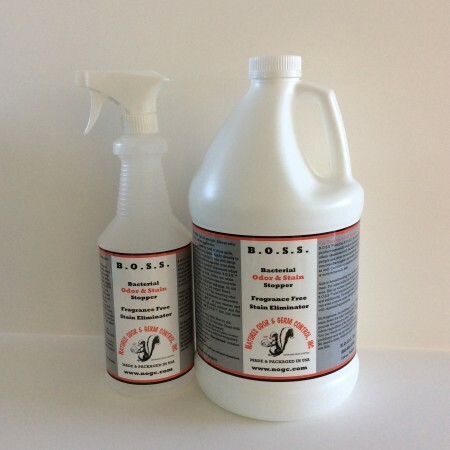 Highly effective in removing all types of unpleasant odors and stains associated with bacterial decomposition, B.O.S.S.™ removes most protein stains such as food, coffee, tea, urine, feces, blood stains (old or new), vomit, stains associated with vomited cat hair balls, and even red wine. 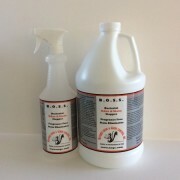 B.O.S.S.™ is our cleaner when it comes to mold and mildew. Life can be easier by using our product for removing odor and bacteria around toilets, urinals and showers in bathrooms. No need to rinse, when it is done working it turns into H2O. 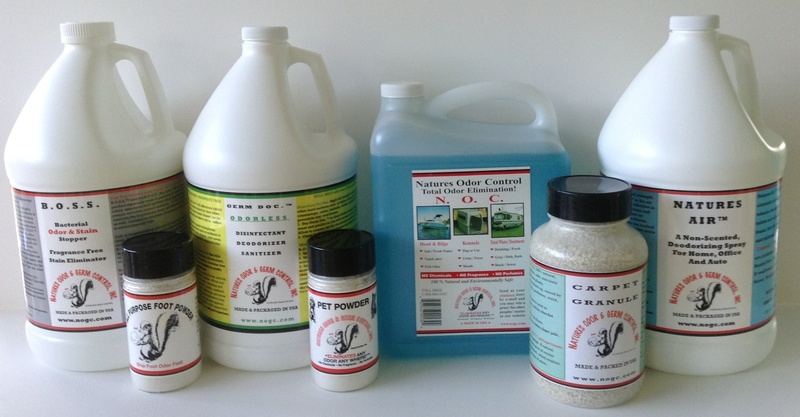 B.O.S.S.™ is the greatest product ever developed for pet stain and odor removal. For urine in carpet, refer to Step 1 of Instruction Sheet provided with Pet Odor Elimination Kit by dba N.O.G.C., Inc. Do not saturate carpet, just spray lightly. 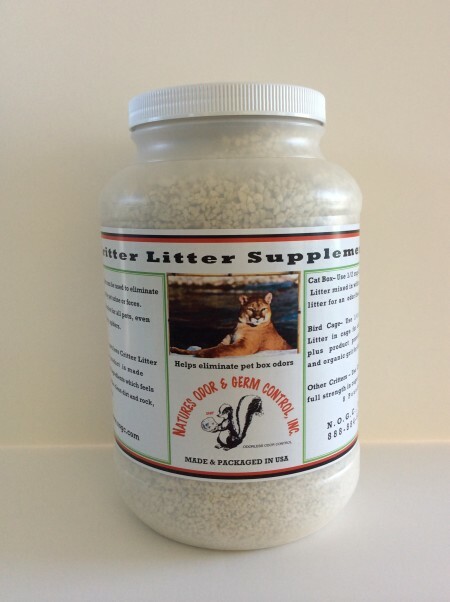 This product can even remove urine and organic stains from hardwood floors. 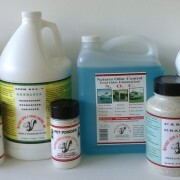 B.O.S.S.™ is odorless, non-toxic and non-staining. You can watch as it works by foaming on severe bacterial odor problems such as pet urine, kitchen faucets and in the shower. DIRECTIONS FOR USE: Use full strength. Always color test in inconspicuous area before application. 1. Food and Drink Stains: Clean up food or drink spills, remove excess debris, blot up excess liquid. 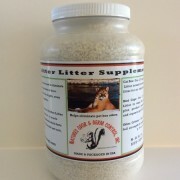 Apply directly to odor or stain source. Leave 5 to 10 minutes. Clean with damp cloth. Repeat as necessary to completely remove your stain. 2. Highly effective in removing all types of unpleasant odors and stains associated with bacterial decomposition. B.O.S.S.™ removes most protein stains such as food, coffee, tea, urine, feces, blood stains (old or new), vomit, stains associated with vomited cat hair balls, sweat odor and even red wine. An old tooth brush works great, to get down in the carpet fibers. 3. Life can be easier by using B.O.S.S.™ for removing odor and bacteria around toilets, urinals and showers in bathrooms. 5. Blood Stains: Do NOT wet in water first. New or old, spray B.O.S.S.™ generously. Leave 5 to 10 minutes. Clean with a damp cloth or put in washer. Repeat as necessary. Caution: If sprayed in eyes, may cause eye irritation. Flush with plenty of water. Hands/Skin: Contact with hands can cause a mild but temporary whitening effect. Wash hands thoroughly. If Swallowed: Irritation may occur to throat. Drink plenty of water. Always use in well ventilated areas. bottom of the box, then litter on top . Oh what a difference your products make. I have passed this information on to other cat lovers as well. //nogc.com/wp-content/uploads/2013/04/logo-100h.gif 0 0 sheryl //nogc.com/wp-content/uploads/2013/04/logo-100h.gif sheryl2011-03-12 13:07:122015-11-18 23:25:03The Wonderful B.O.S.S.